- more of that darned geranium! The early morning winter sun shines in the window, low and intense. 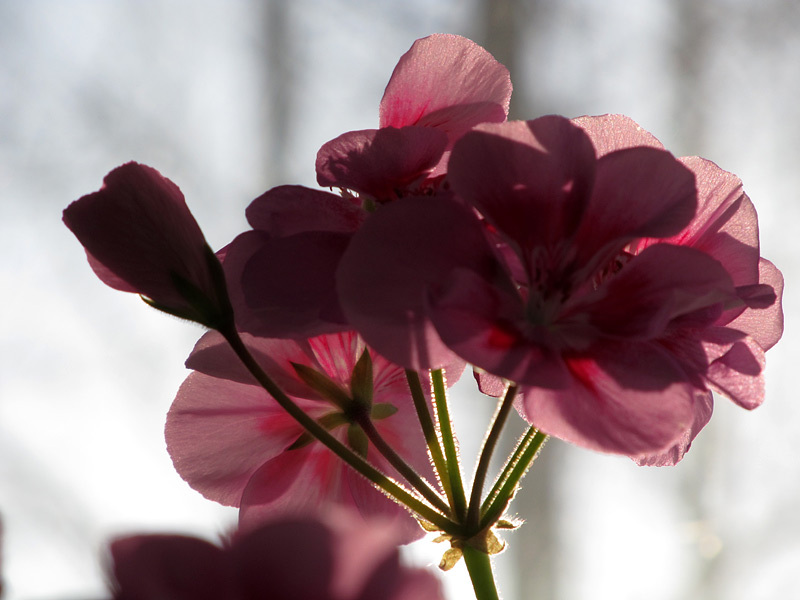 It is backlighting my office geranium plant and revealing translucent effects you will never see in direct lighting. Here are layer upon layer of petals, colors, shadows, opacities, and highlights. How can I get any work done?